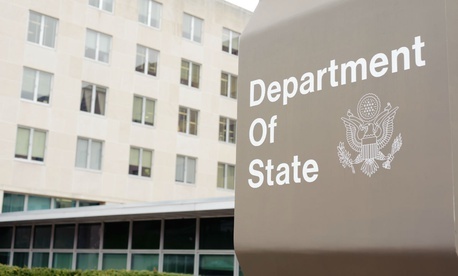 The State Department’s watchdog is “looking into” allegations that the agency is engaged in political targeting and other prohibited personnel practices, the office said Tuesday after whistleblowers sounded the alarm about unfair treatment. The inspector general’s office said it was probing the matter after two Democratic committee leaders sent a letter to Steve Linick, the IG, asking him to open an “immediate review” into alleged illegal activities that State employees told the lawmakers were taking place at the department. The whistleblowers told the offices of Reps. Elijah Cummings, D-Md., and Eliot Engel, D-N.Y., that they were being assigned to tasks unrelated to their normal, substantive duties because of work they had conducted under the Obama administration. The employees in question have not received any indication from State to explain why they were transferred or when the temporary assignments will end, the lawmakers said, and their repeated requests for more information have been ignored. State has allegedly sent many of the workers to its Freedom of Information Act office. The whistleblowers corroborated a report from CNN that found career employees were being placed in “career purgatory” because they worked on priorities associated with President Obama, the lawmakers said. State Department officials told CNN they were taking an “all hands on deck” approach to reduce the FOIA backlog, which has grown significantly in recent years. Reuters reported earlier this month that Lawrence Bartlett, head of refugee admissions at State’s Population, Refugees and Migration bureau, was reassigned to the FOIA office. The Trump administration has faced other accusations of politically motivated reassignments after it shifted around dozens of Senior Executive Service employees. One whistleblower said he was being punished for speaking out on the risks that climate change posed for certain communities, prompting bipartisan concern on Capitol Hill. The Office of Special Counsel said it would investigate his case, and the Interior IG is probing the department’s reassignments.